On Friday, October 9, 2105, Reena Deutsch will lead a run/hike to the Dos Cabezas Train Depo and the China Construction Camp that was used by the San Diego & Arizona crews to build the Rail Road between 1910 and 1920. The first stop will be for a brief tour of Dos Cabezas. It was used as a railroad construction camp starting in 1916, and in 1919 it became a maintenance and repair station until the early 1950s. Although it is mostly in ruins now, photographs of how it looked during the time it was actively used will be shown at Reena's presentation that evening. Following the Dos Cabezas tour, we’ll drive past the Dos Cabezas mine on the way to the trailhead for our approximately 6-mile round-trip hike to China Camp. The expansive area was used beginning circa 1910 as a camp for railroad survey teams seeking a way for the SD&A Railway to transit through Carrizo Gorge. 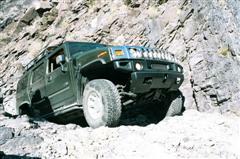 Our hiking route will take us off-trail through soft sand and on an old jeep road that is a bit rocky in places. The pace will not be fast, but we will stay together as a group. We will try to locate as many of the artifacts and remnants of structures as we can while we explore the area. We may see a railroad tunnel or two, but walking on the tracks or in the tunnels is off-limits to the public. We will need to drive up to 20 miles on sometimes graded, sometimes rocky dirt roads. There is a limit of 20 people for this outing. Please post here if you wish to join us. 1. Bring your Ham radio HT if you have one. 2. Wear appropriate clothing for a hike in the desert. Boots and long pants are recommended. 3. Wear a hat for sun protection and bring sun screen. 4. Bring a lunch and snacks. Meeting location: Butterfield Ranch Camp HQ.